An excellent report on CNBC contrasts the mood of California communities in dealing with the medical marijuana issue. As we reported on our Marijuana Lawyer Blog, the City of Oakland has voted to create four industrial-size marijuana growing operations as it embraces both medical marijuana and the prospect of marijuana’s legalization should Proposition 19 pass this November. Northern California’s mood contrasts sharply to the mood in Southern California, as local governments throughout the Los Angeles area move to force legal medical marijuana dispensaries out of business. Our Los Angeles dispensary lawyers and Riverside dispensary defense attorneys represent more than a dozen medical marijuana businesses that are targeted for closure by local ordinance. Los Angeles, Los Angeles County, Riverside, Riverside County and San Bernardino County are among the local government entities that are either attempting to force the closure of medical marijuana dispensaries, or are determined to prevent them from establishing a presence. In the City of Los Angeles alone, about 400 legally operating marijuana dispensaries have been targeted for closure. The State Board of Equalization estimates California’s marijuana industry is currently valued at $15 billion a year, bringing in about $1.5 billion in tax revenue. Supporters also contend that legalization would take income out of the hands of gangs and reduce drug violence, in much the same way as ending prohibition. Then there is the “tens of millions” the state could save on jail and prison costs and the economic benefit from tourism and job creation. Still, as we have reported, one of the largest unknowns in the equation is what the response would be from the federal government. 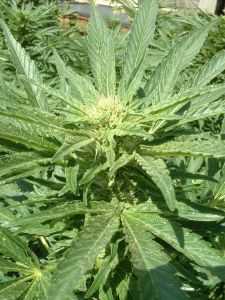 The legalization of marijuana in California would violate international treaties and would likely serve to fuel the illegal marijuana markets in the rest of the nation.